Precision is one of the core aspects of an engineering job. 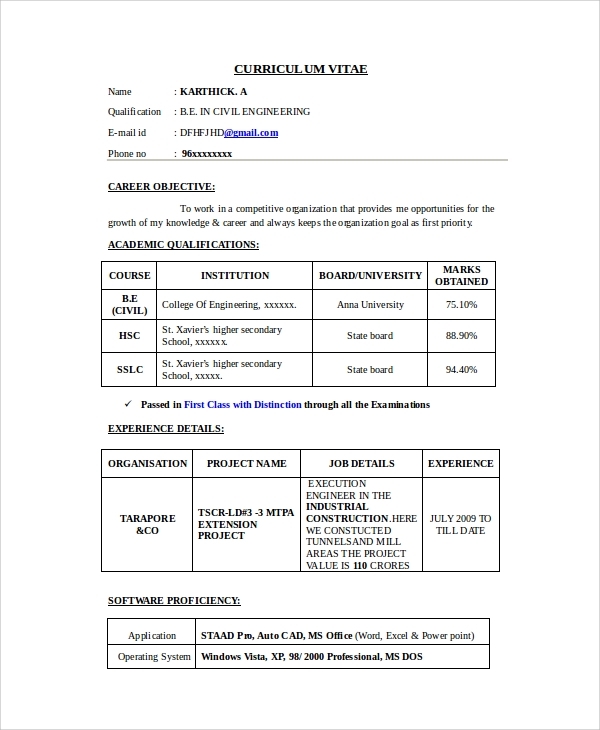 Consequently, when you are applying for any engineering job, the resume too should showcase your ability to be precise, detailed and accurate. Most engineering resumes are rejected by the recruiters for the lack of proofing, information overload, lack of a good career objective and failure to list the important accomplishments. 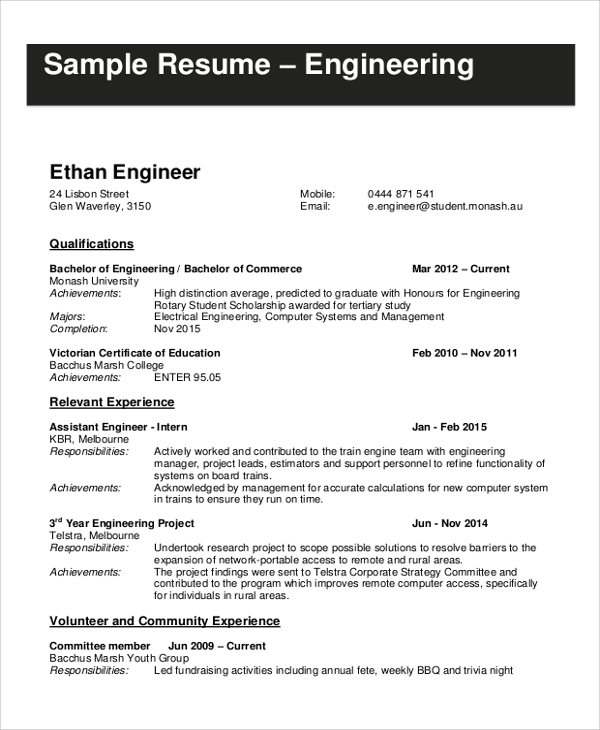 These Sample Resumes will show how you can apply some expert strategies to strengthen your resume and impress the recruiter. Mechanical engineering is one of the most popular, respected and promising engineering career. You resume should thus be all about showing your knowledge, skills, and passion for designing, innovation and understanding efficiency. There should be hints of strong leadership and forward thinking in your resume. Check out this sample to get an idea. 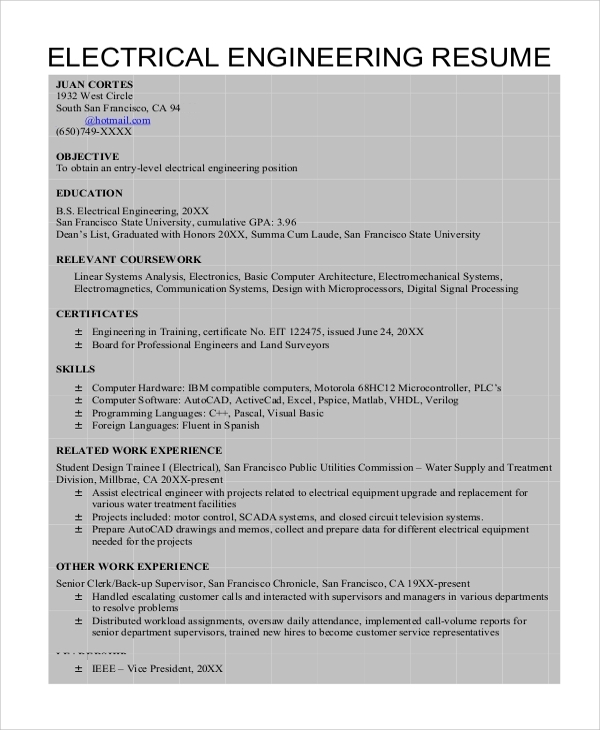 Recruiters looking for a candidate in the electrical engineering position will be interested in the candidate’s education, certifications, computer skills, and all kinds of related work experience. Showcase anything you have done related to the field and let go of fancy dialogues. This sample will guide you. The job of a civil engineer is highly complicated, and a good candidate is expected to have an all round knowledge of planning, innovation, and leadership. The ideal candidate should showcase abilities like planning, ability to handle people, understand policies, have through knowledge of infrastructure requirements, be an expert in related computer applications and a lot more. Petroleum engineering is another unique career choice for engineers, but the work will revolve around your mechanical skills, knowledge of petroleum sectors, technical skills and the ability to work in highly adverse conditions. The ideal resume should consequently hint on all of these aspects. The job of an information technology engineer is woven around utilizing special computer skills and telecommunication knowledge to control, store, gather and circulate information. The job description is quite diverse, and you should be able to understand the things expected of you clearly. 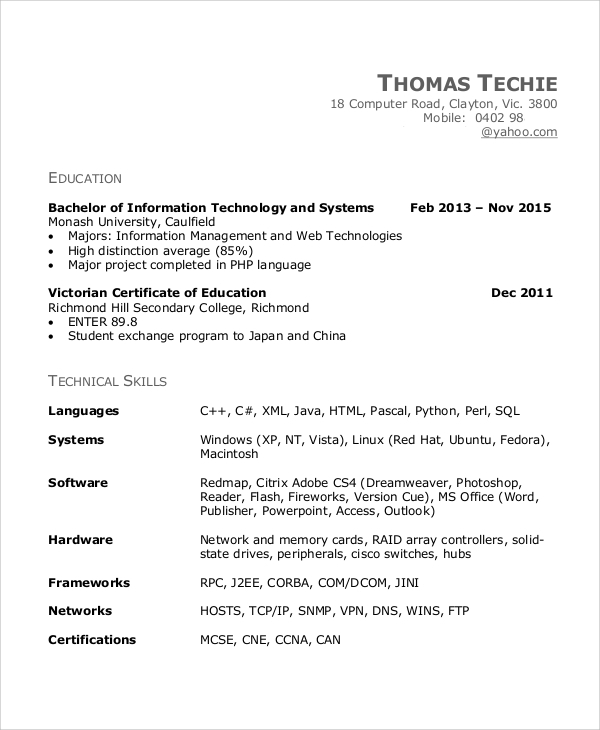 Regardless of your application for hardware or software job, everything about the resume should showcase your skills, certification, knowledge, and experience. 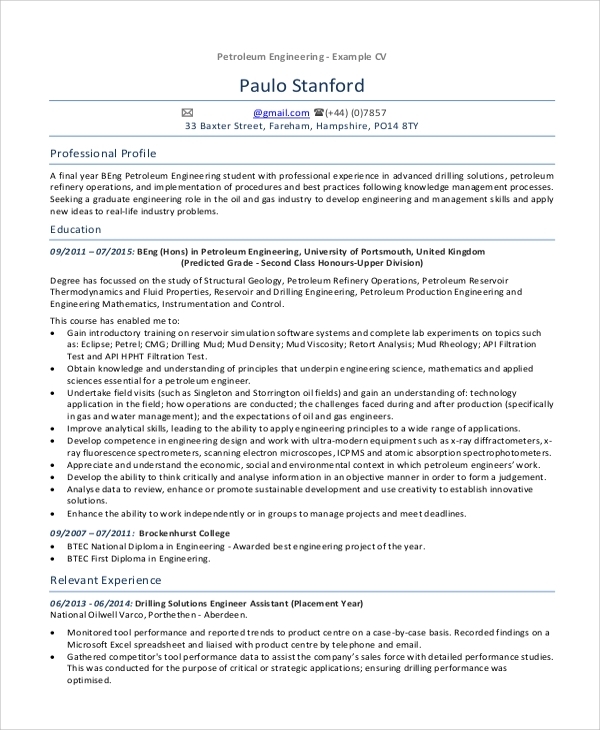 How is an Engineering Resume different than other Jobs? As already explained, the job of an engineer is highly well defined, and the success of a candidate purely depends on his/her skills, knowledge, and experience. Recruiters are never interested in learning other things about your career but the way you have engaged yourself in the sector. 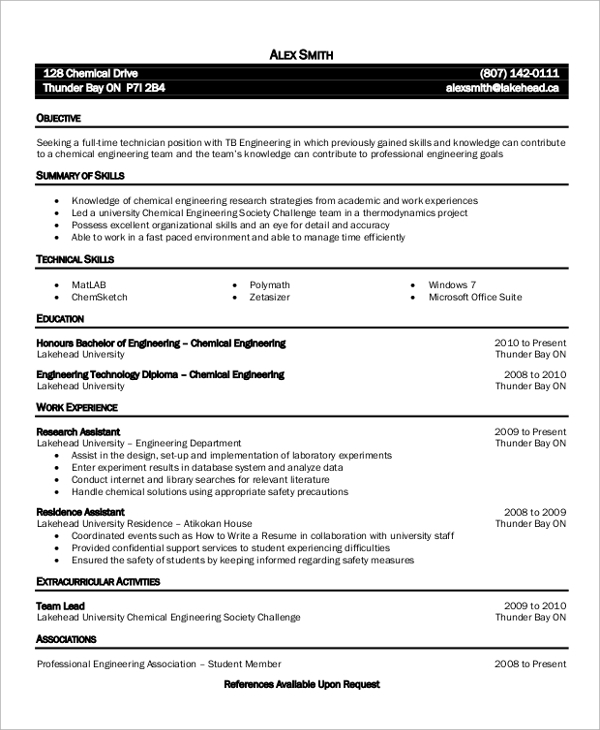 You may also see the Engineering CV Samples. 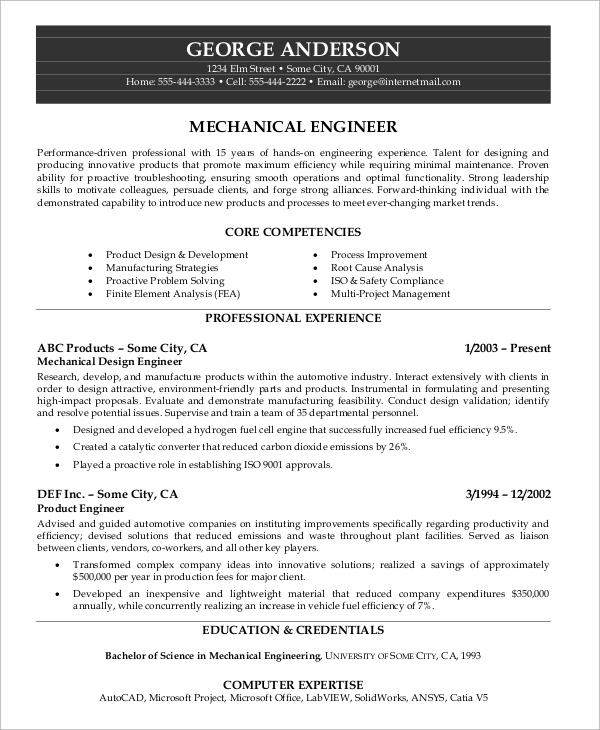 Who needs an Engineering Resume? 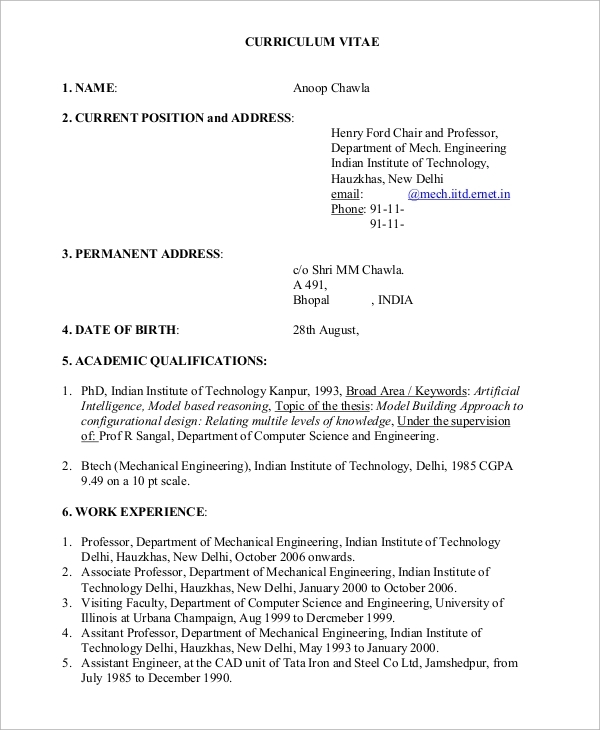 Needless to say, anyone applying for any engineering job will require furnishing a good resume. This will be applicable for both freshers and experienced candidates. In the former case, the lack of experience should be thoroughly replaced by knowledge, certifications, and achievements. All the above Resume Samples are recognized by top recruiters and will be highly helpful for anyone serious about his/her job application. Download the.PDF /.MSWORD files and use them as your reference.